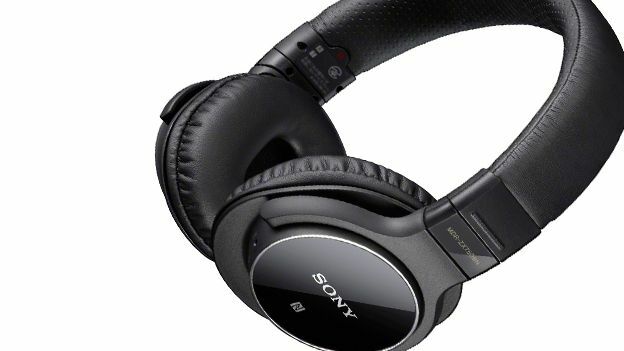 Sony has revealed its new MDR-ZX series of headphones including the Sony MDR-ZX750BN which feature Bluetooth for wireless streaming and NFC allowing you to connect the Xperia Z2 just by touching the phone to the headphones. The new headphones feature a built-in Lithium-ion rechargeable battery that Sony claims should give you around 13-hours of non-stop music with noise-cancelling enabled. Sound-quality is given a boost thanks to large 40mm drivers which should promise a wide dynamic range whilst noise-cancelling looks to remove 98 per cent of ambient sound. Of course nothing says the future like talking to your headphones which is why there's a high-quality mic built in so you can take calls without ever having to take your phone out of your pocket. The MDR-ZX750BN will be available from April along with the rest of the new MDR-ZX series of headphones, no word on pricing just yet but we'll update this post as soon as we have it.